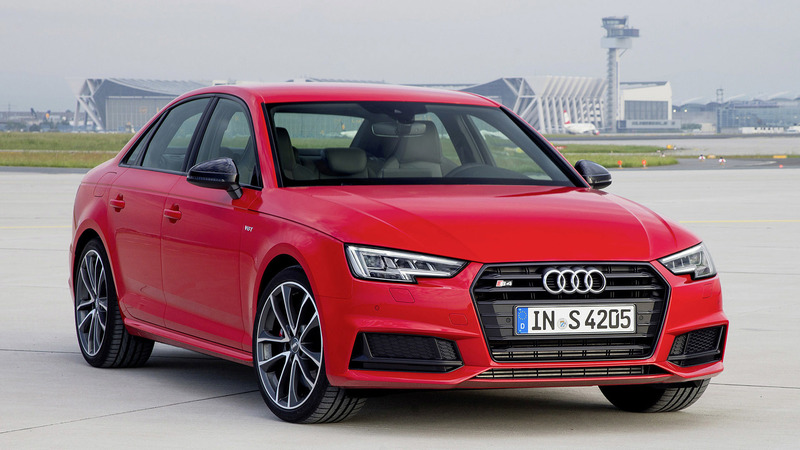 For all its power and easy performance, the best thing about the last Audi S4 was its uncanny ability to act like a normal (but very high-spec) A4 for most of its life. Then, when you needed or wanted a bit more speed or a bit more grip, you pushed a button or opened the tap and it became something else. It became a thing with more grip, more poise, more focus, and more gristle, but the changeover between the two S4 characters was seamless. That doesn't seem to be the case with the new one. The latest, B9 A4 has been well received and is probably the best mid-sized premium car out there, so that should have left the S4 a simple job to become the best warmed-up premium mid-sizer. It hasn't quite happened like that. 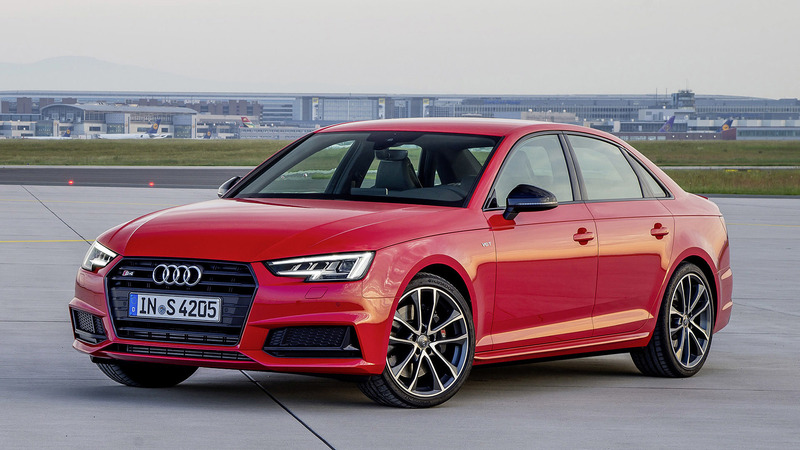 The spec sheet suggests the S4 should come out on top in the fight with the BMW 340i and the Mercedes-AMG C43, but the numbers aren't everything. The engine seems impressive on paper; the all-new EA838 3.0-liter turbocharged V6 was jointly developed with Porsche (and it's closely related to Porsche's next V8, with which it will share non-internal bits like the camshaft chain). 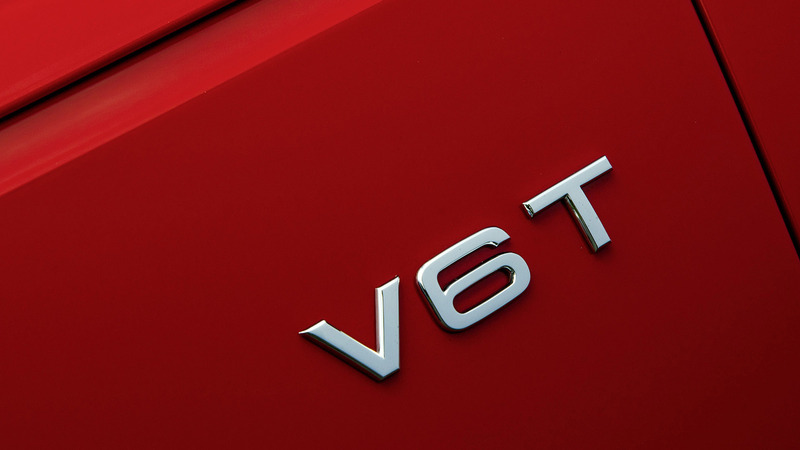 The 60-degree V6 weighs 31 pounds less than the old S4's supercharged V6, and it's replete with variable valve timing and lift, centrally mounted fuel injectors, and both direct and indirect fuel injection. That gives it 354 horsepower at 5400-6400 rpm (up 6.5 percent) and 369 pound-feet of torque from 1,370 to 4,500 rpm. That gives it a peak 44 lb-ft higher than the old one, spread across a band 600 revs broader. At 2,000 rpm, where drivers live every traffic light, it has another 74 pound-feet. That's enough motivation to move to 62 mph in 4.7 seconds. There's a new all-wheel-drive system that usually shoots 60 percent of the torque to the back but can ramp that up to 85 percent when it needs to, or it can swing it around to fire more than 70 percent to the front axle. The category benchmarks suggest turbocharged 3.0-liter gasoline sixes are the thing to have, with the Mercedes-AMG C43 using one, the 340i BMW having one (though it's straight), and Maserati's Ghibli also using one. The oddball is Jaguar's XE S, which uses a supercharger. You know, like Audi just ditched. The S4 trumps all but the C43 on power (the nine-speed Benz has 362 hp). While it ties the Ghibli for torque, it again trails the Benz (by 15 lb-ft) though its torque peak hits far earlier (the Benz waits until 2,000 rpm). 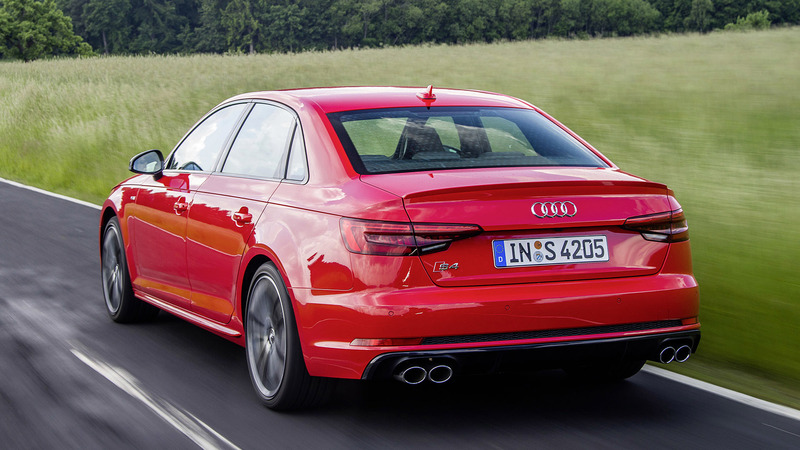 Still, the S4 ties the Benz for the 0?62-mph sprint and comfortably has the measure of the others, with the BMW and Jaguar both doing it in 5.1 seconds. There is one piece of technology in the S4 that muddies the waters for anybody trying to pin down what it's all about. This performance model doesn't use a dual-clutch transmission anymore, and there isn't even the option of a manual gearbox. 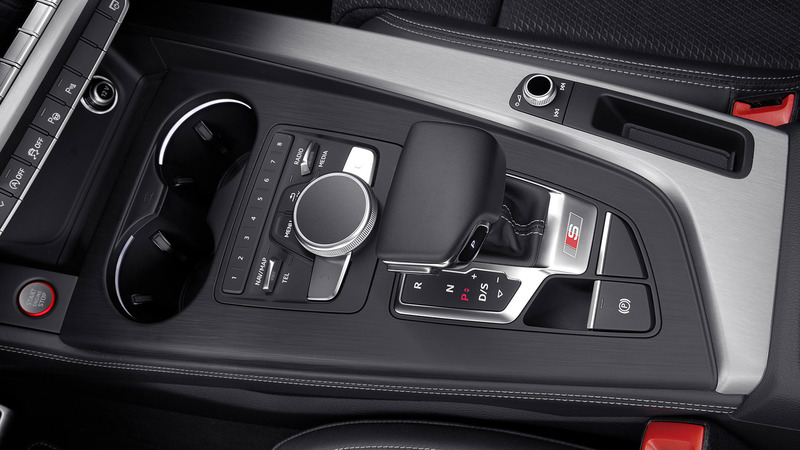 Instead, it uses an eight-speed automatic transmission and only an eight-speed automatic transmission from ZF. 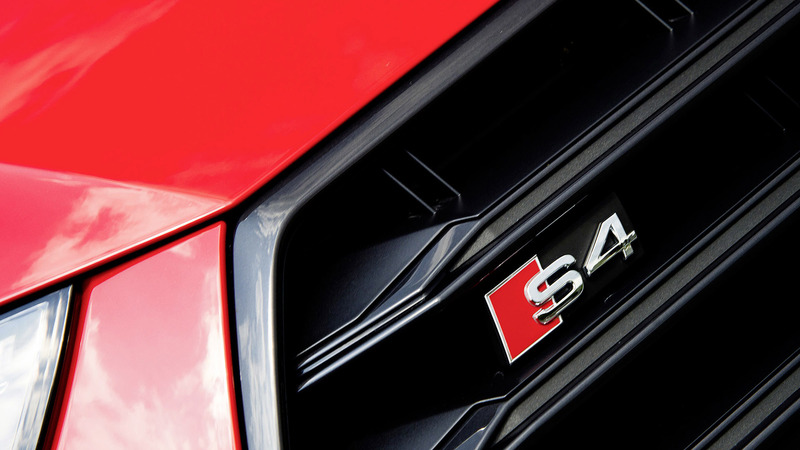 The S4 has always delivered its performance with understated looks, and Audi spent a lot of time and effort to create even more understatement here. The styling is little changed from the stock A4 ? only plastic pieces are touched, leaving the expensive metal stampings alone. 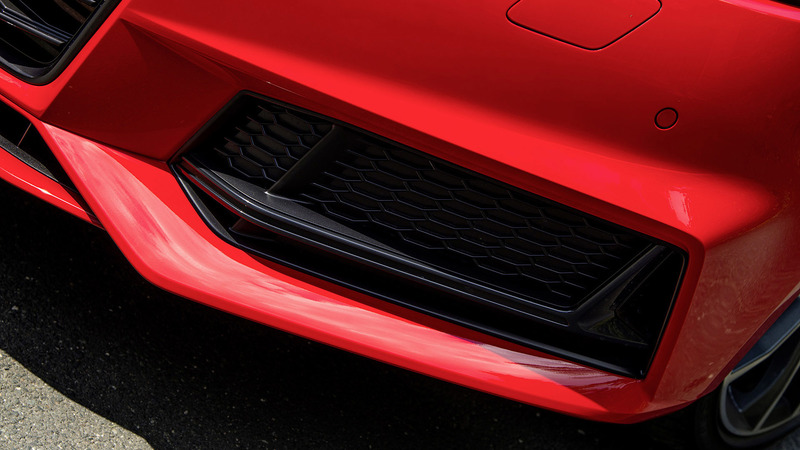 It has the usual S-model matte-alloy-looking mirror caps, a slightly tweaked single-frame grill with faux-metal slats, wider sills, and oval tailpipes. 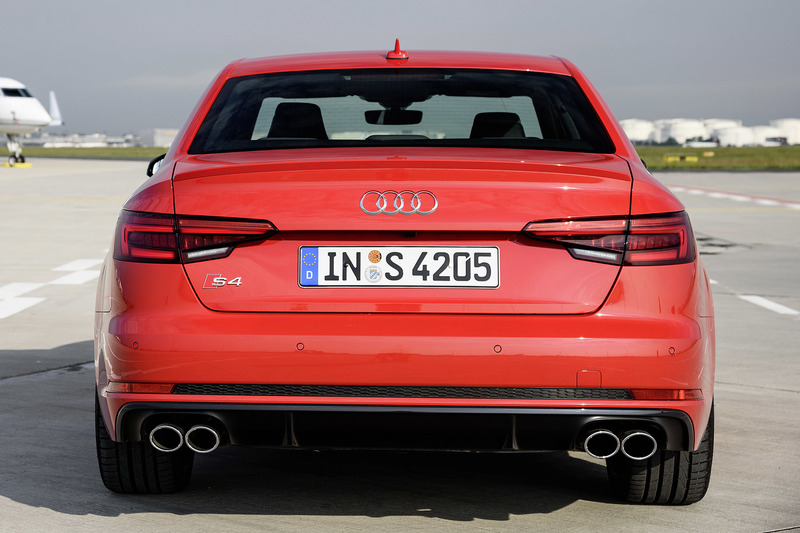 With its standard sports suspension, the S4 rides 0.9 inch lower than a normal A4. The interior starts from the B9 A4's happy place and builds on it nicely, with classy sports seats that are brilliant in bends and supportive on long hauls. 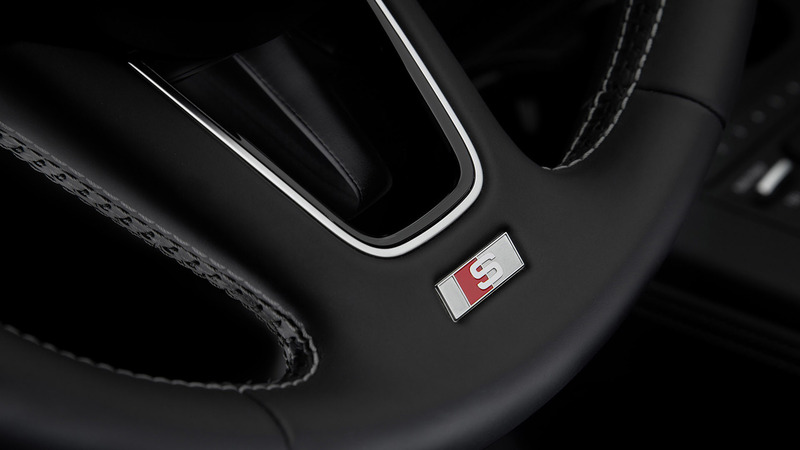 The flat-bottomed steering wheel's adjustment is generous, helping make the S4's cockpit an easy place to get comfortable, quickly. 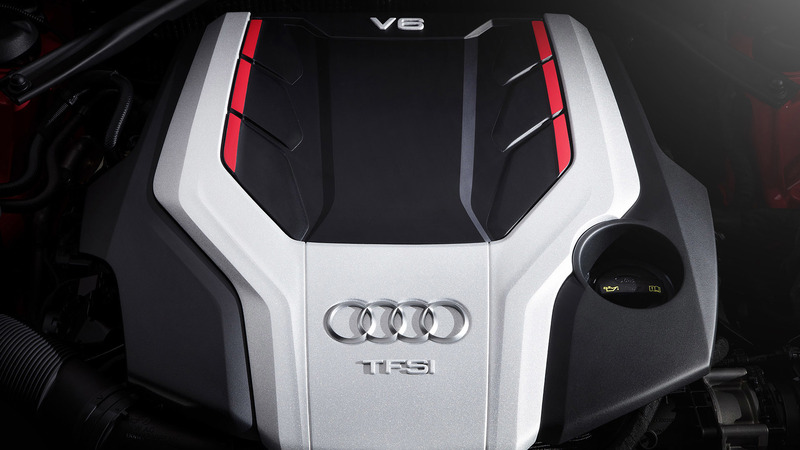 Besides the standard Virtual Cockpit, the S4 also has the fixed 8.3-inch center multimedia screen from the stock A4 and the latest levels of Audi connectivity. 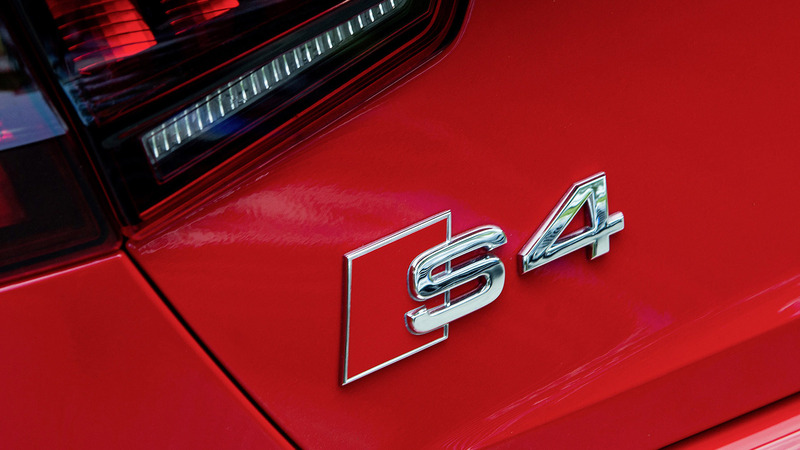 The S4 gives everybody inside it a feeling of calm, the assurance of unseen technical strength, and most will be able to adjust or change anything without ever reading an instruction. The rear seats deliver plenty of leg, head, and shoulder room. That covers what you notice before starting the engine. Right from startup, the V6 feels phenomenally strong on in-gear acceleration. It gives you the impression that any old gear will be just fine, thanks very much. The torque arrives outrageously early and, with the security of all-wheel drive, means you can mash the gas anytime, anywhere, as hard as you like and expect to be propelled forward with uncomplicated authority. The engine's reaction to any request is about as fast as with the old V6, but it feels far stronger low down and doesn't suffer in any way up high. The issue we have with the engine isn't its performance, which is more than enough at every point of the rev range and makes overtaking a snap. It's the noise. The new turbo V6 can be loud in its Dynamic mode, but that doesn't necessarily mean it's nice, or that you'll want to hear it over and over, just to remind yourself what you paid for. Tone, depth, and metallic resonance change until it becomes just plain noise at the 6,500-rpm limiter, without never becoming particularly pleasant. If you were buying purely on engine note in this class, you'd walk straight past the S4 and on to BMW's 340i. Fortunately, any powertrain negatives are almost completely cancelled out by the transmission. It is simply brilliant, whether you leave it to do all the thinking for itself or provoke it with the standard paddle shifters. This is one of the fastest-reacting automatics out there, biting hard into the self-shifting software advantage BMW has held for half a generation. The computers throw in a little exhaust crackle on full-throttle upshifts, while downshifts are aggressive when you're in Dynamic mode and almost imperceptible otherwise. Perhaps the main area we struggled with was that while the old car was a perfect example of the best of the A4 with a bit more performance, this one has even more top-end purpose but is slightly less good at being an A4. That's partly because the lowered suspension robs the car of some harshness-absorbing travel. You initially feel sharp stuff before the damping works to smooth things out. This gives the impression that the dampers are trying to be all things in all conditions, while the springs are more targeted, leaving the two things working in harmony only in fairly defined circumstances. The S4's electro-mechanical steering is very quick and direct, but it never shines, never feeds the driver much information or entertainment, even on the optional 245/35 R19 Hankooks we had on our test car. 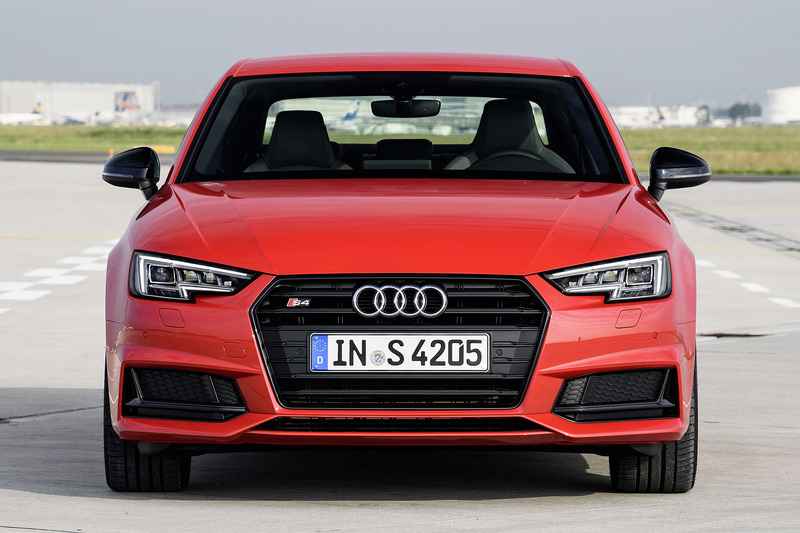 The upshot is that the latest S4 is not a massively involving car to drive, slowly or quickly. It doesn't engage the driver and never feels warm to the touch, never invites the driver to push that bit further, and while it has big bundles of speed and grip reserves, it doesn't question your willpower every time you get behind the wheel. Even when you play with the Drive Select system to toggle between the Comfort and Dynamic settings, things never seem quite perfect. Good, sure, but never effortlessly coherent. Oddly, the all-new S5 does, and they're essentially the same car. Minor variances in weight and tuning account for the different feel between the two cars. For plenty of S4 customers, these niggles won't be deal-breakers. No, the Audi's new engine doesn't sound great, but in a class of six-cylinder powerplants, only the straight-six BMW does; with the 340i, the trade-offs of steering feel and relative interior quality remain. The Audi is also visually conservative, but that's true for this entire genre. 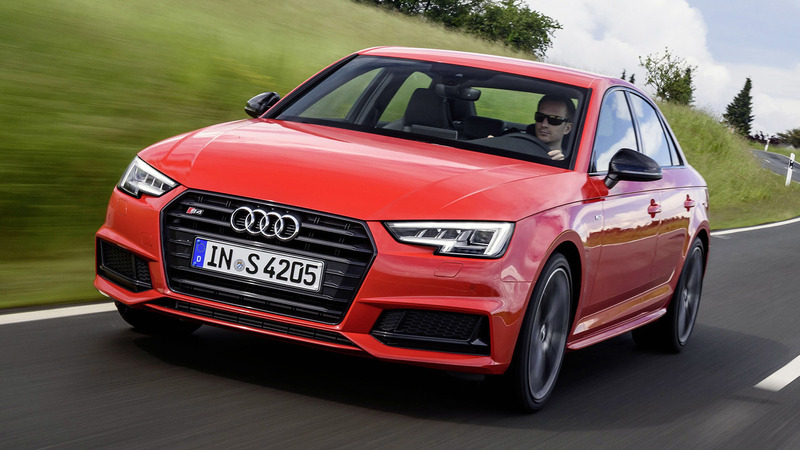 What the S4 has are its obviously deep engineering, a brilliant interior, a top-shelf technology package, and the ability to eat miles quickly and effortlessly. It just lacks the last pieces of engineering and development cohesion that complete the puzzle. It's still a good car, just not a great one.